Taken in the early morning of 1st November 2015, at NGR SS5041786091, a short walk from the Oxwich Bay Hotel along the coastal path that continues through the woods and around Oxwich Point. 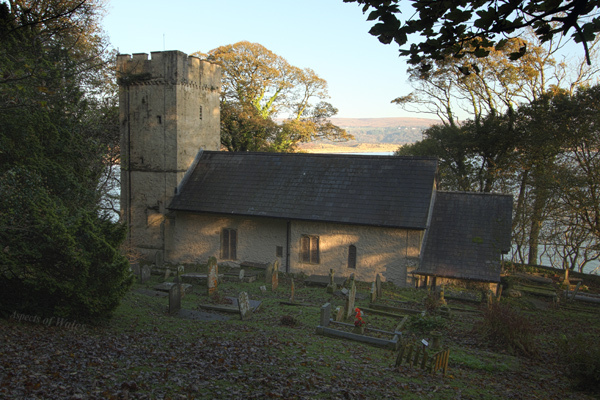 This church is dedicated to St Illtyd, a Celtic saint, and the current building dates back to the 13th and 14th centuries. Canon EOS 7D, Canon EF-S 10-22mm lens at 17mm, Manfrotto tripod. Exposure F11 at 1/10, 1/40 and 0.4 secs, manually combined.